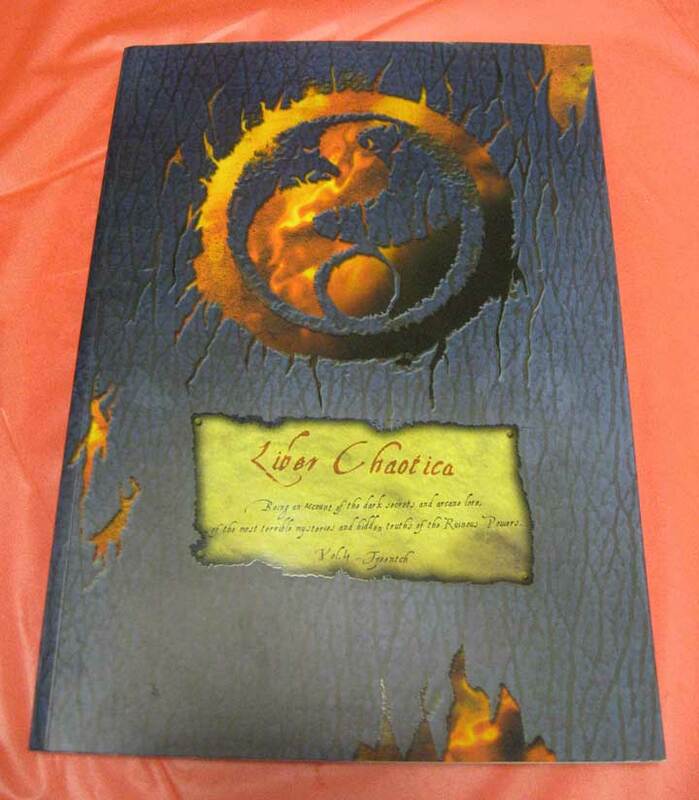 Warhammer - Back in 2003 Black Library released a set of four books each featuring a specific chaos god. At the time I couldn't resist the lure of chaos in all its myriad of forms and picked them up as soon as they released. Which turned out to be very wise of me as the books were not printed in a huge quantity and quickly sold out. Eventually they did reprint all four books collected into one large special edition. This also quickly sold out and is very hard to find. 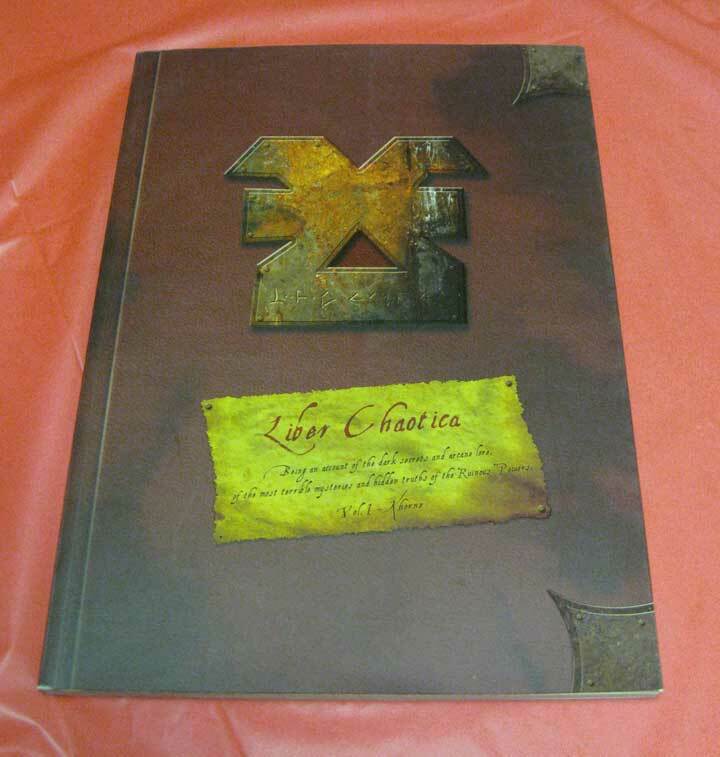 Since a new and improved chaos codex was recently released I thought this would be a good time to look back at these books. Each of the four volumes was released as a beautiful soft cover with a spot varnish and soft touch UV coating on the cover. The results are quite striking and make these books stand out from the typical GW book of the period. Within the pages you'll find the writings of Marijan von Staufer detailing his extensive research into the gods of Chaos. 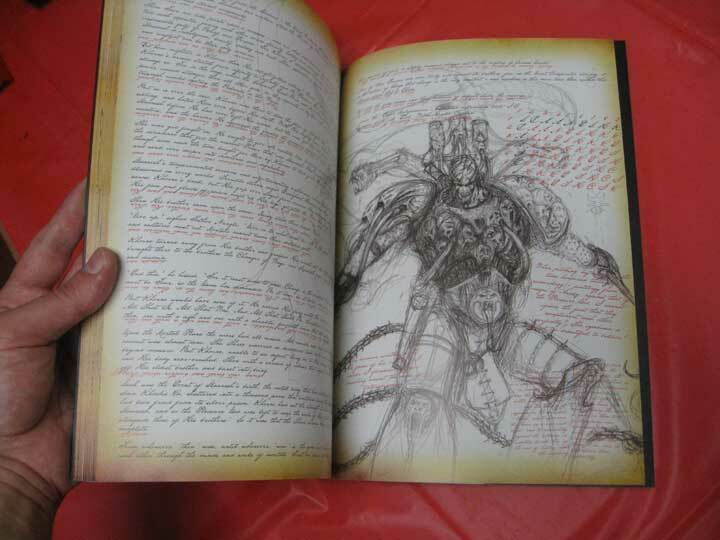 The pages are set up like a journal with writings in the margins and sketches of the various daemonic entities. 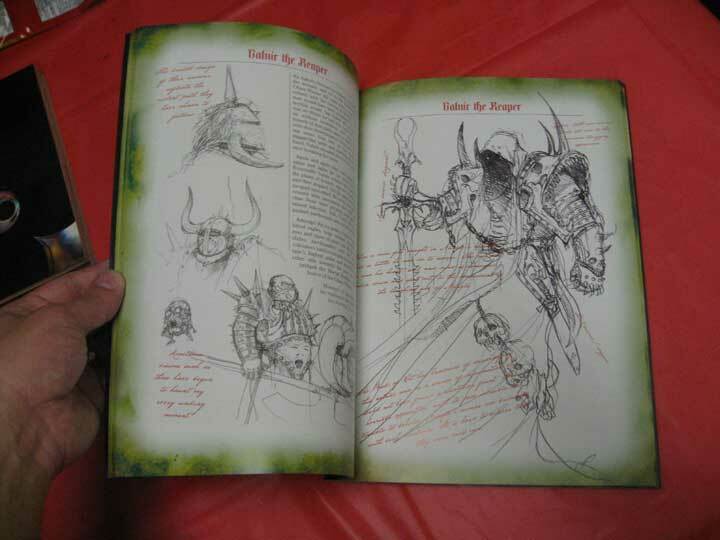 I really enjoyed reading through these and the sketches provided numerous ideas for conversions. Games Workshop and the Black Library haven't put out books of this quality in a long time and it would be great to see them bring back this format as the books were very popular and still are on the secondary market when you can find them. Luckily if you've been looking for a complete set of these books you can find them here.